Convince your clients, impress your peers – Business Print Lab for Pages by Jumsoft makes creating gripping Pages documents easier and quicker than ever before! 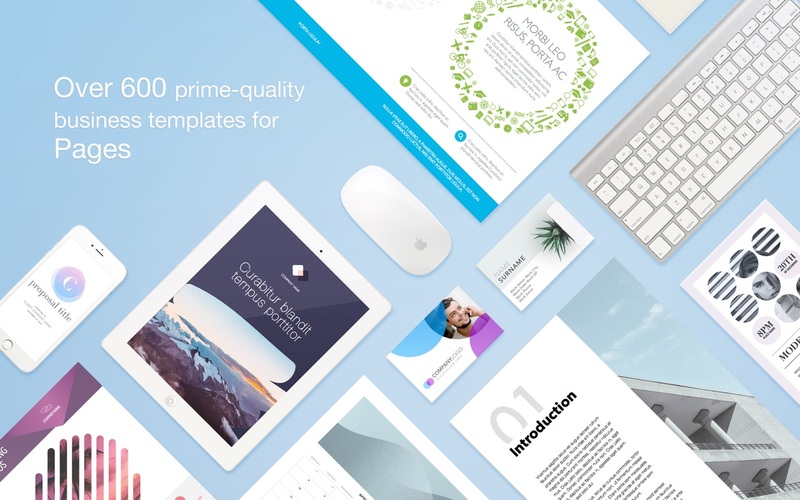 Hundreds of professional templates and near-infinite customization opportunities make it the most powerful tool available to unleash your creativity in business documents. Business Print Lab for Pages offers a broad range of customizable and interchangeable template categories: Ads & Flyers, Brochures, Business Cards, Calendars, Planners, Cards, Invitations, Invoices, Forms, Document Templates, Labels, Organizational Charts – just to name a few. All your business document needs will be fulfilled! As if it weren’t enough, our design team issues regular content updates to make sure that you never run out of the best, most professional templates and document designs available on the market!